An island in the Central Dalmatian island group with its highest point at Vela Straza (211 m). It is separated from the mainland / the Split Channel and from the island of Brac by the narrow Splitska vrata Strait. A fertile plain lies in the interior of the western part. The coast is lined with numerous bays and coves with natural beaches. Ferry landings are located in the settlements of Rogac, Necujam and Stomorska. The island was mentioned in the 4th century B.C. as Olyntha. The romans called it Solento, but the name Solta appears in the 14th century. There are numerous findings from various historical periods on the island. The largest bays on the northern coast, which is exposed to northerly winds, are Rogac and Necujam. The Maslinica Bay on the western coast is protected by a group of islets and reefs and exposed only to northwesterly winds. GROHOTE - The oldest and largest settlement on the island and its economic and administrative center. It lies around 1 km from the coastal settlement of Rogac. Next to the parish church lie the foundations of a three-aisle irly Christian basilica from the 6th or 7th century. A defense tower from the 17th century stands in the middle of the settlement. MASLINICA - A settlement on a bay of the same name on the western part of e island. There are numerous pebbly beaches along the rugged coast, and a group of islets in front of it. Once the main fishing settlement of the island, Maslinica is now becoming an important tourist center. The sea is suitable for underwater and sports thing. Maslinica's attractions include a tower with loopholes from the id of the 17ft century and a Baroque mansion from 1708. The harbor is exposed only to westerly winds. 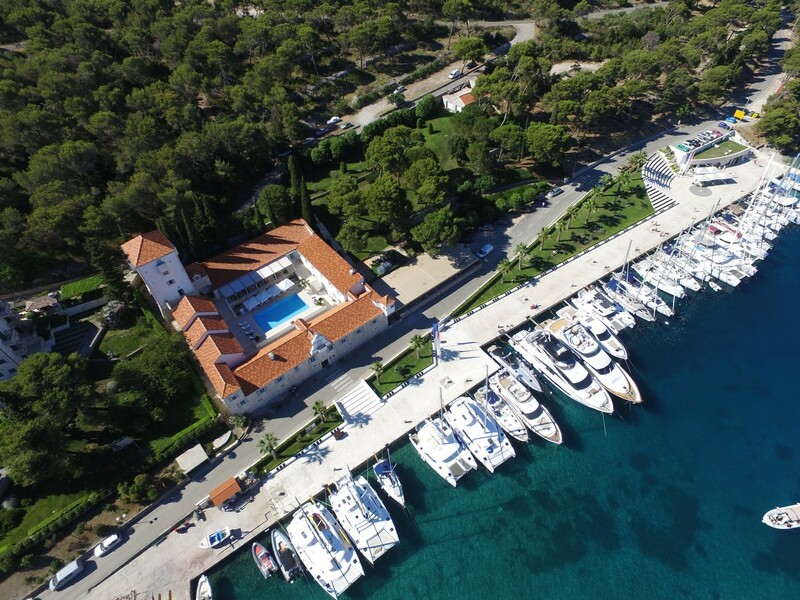 Boats can berth the northern quay at a depth of up to 5 m and at the southern lay at a depth of 1.6 m. There are 30 mooring lines in front of the old mansion, today a restarted hotel Martinis Marchi. NECUJAM - A new settlement that has become the center of Solta's tourism and is located on one of the most beautiful bays on the island. Accommodation is available in the apartment settlement and in holiday homes and cottages. The nearby coves are lined with picturesque beaches. 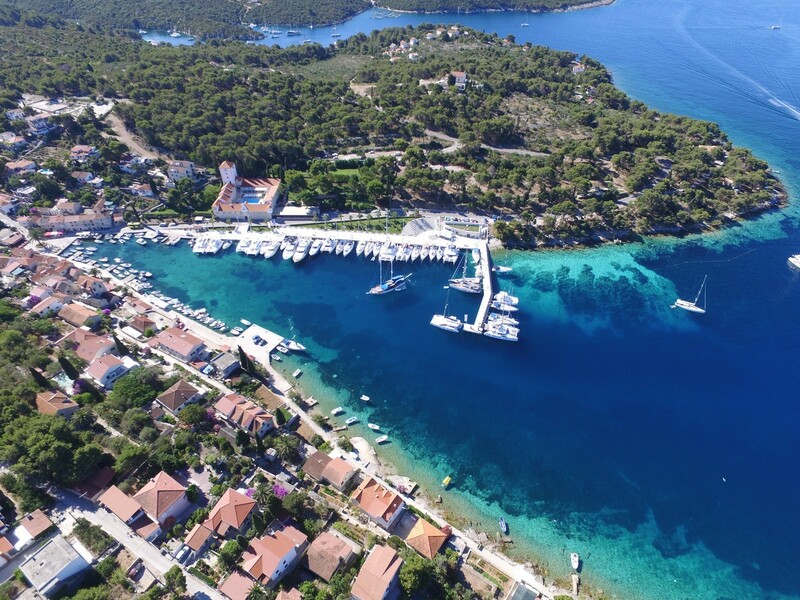 STOMORSKA - The oldest settlement on a bay of the same name on the northeastern coast of the island is now a typical tourist centre with an occasional ferry landing (Split). To the southeast lies the Gornja Krusica Bay with a settlement of vacation cottages and a beach. There is a private campsite in the settlement. 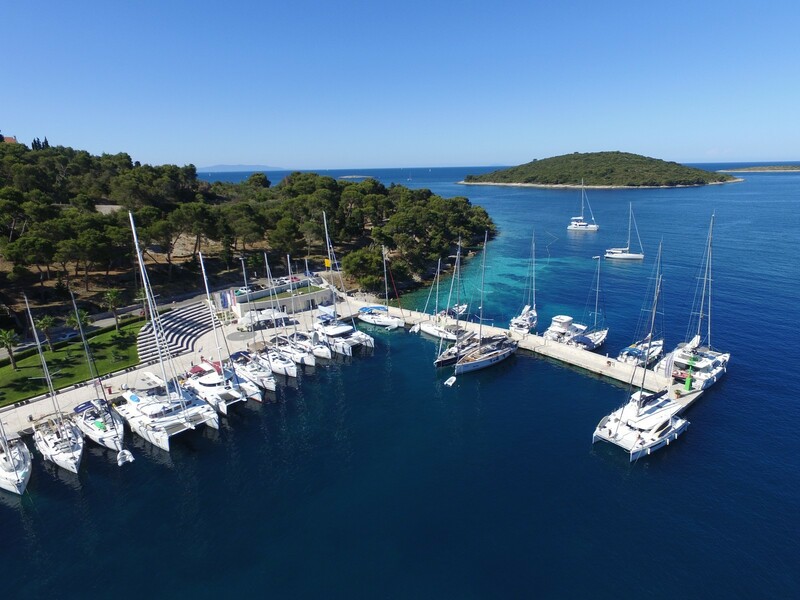 The small harbor with a ferry landing is usually occupied, but space can sometimes be found at the beginning of the harbor at a depth of up to 4 m. It is exposed to northerly winds, and the sea becomes choppy, when the bora blows. A new marina is under construction. 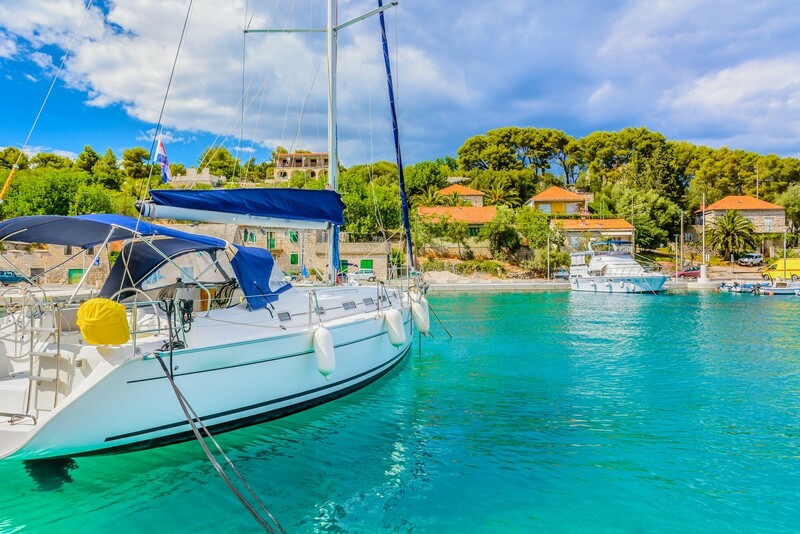 At the moment it offers 20 berths at depth between 2.5 and 5 m. Sailors can use mooring lines with water and electricity hook-ups.